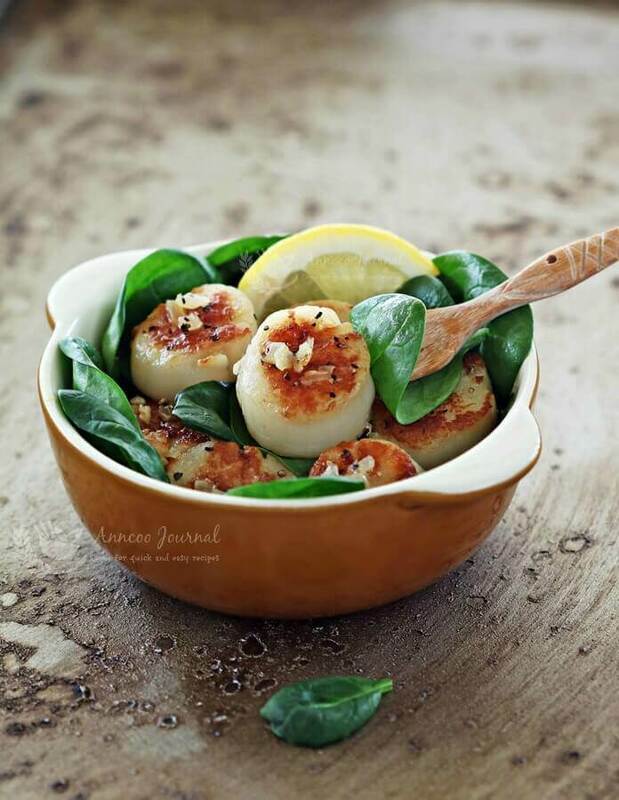 This garlic butter scallops dish is quick to make but the simple sauce lends flavour to the fresh, succulent scallops. To prepare this quick and delicious dish simply sear the scallops on both sides, sauté the ingredients for a few minutes until aromatic, and it’s done. 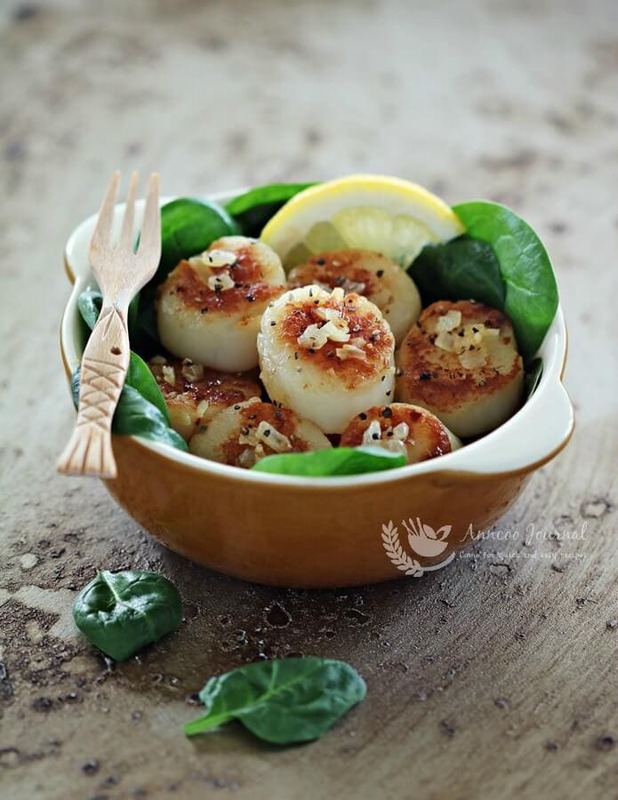 These tasty garlic butter scallops are best served with greens as a salad or with butter rice. Rinse the scallops, drain well and pat dry with kitchen towel. Add some cooking oil in the hot frying pan at medium to high heat, Place the scallops into pan and sear both sides until brown, dish up. In the same frying pan, add butter, chopped onion and garlic at medium heat. Sauté the onion till soft and aromatic for about one minute..
Place the scallops back into the pan., Squeeze some lemon juice, dash of pepper and salt over the scallops and stir fry well together with the onion and garlic. Turn off heat and serve with dash of black pepper. Ann, your Garilc Butter Scallops are fantastic! wow These scallops are so succulent and delicious with garlic butter!